Phở is a Vietnamese noodle soup that usually served with flat long rice noodles, fresh herbs and thin slices of meat(beef or chicken) cook quickly in hot broth. In Vietnam most of their dishes are typically served with lots of greens, herbs, vegetables, and various other accompaniments such as dipping sauces, hot and spicy pastes and a squeeze of lime or lemon juice to enhance the taste. Last week while watching the Junior Master Chef series, I was attracted to one of their quick and easy demo dish is is "Chicken and Vegetable Pho". So without hesitate I search through my pantry for some necessary ingredients to try out this dish. For my version, I omitted the Bay Leaf, Thyme and Parsley from the original recipe for the soup broth as I do not have those available in my pantry. 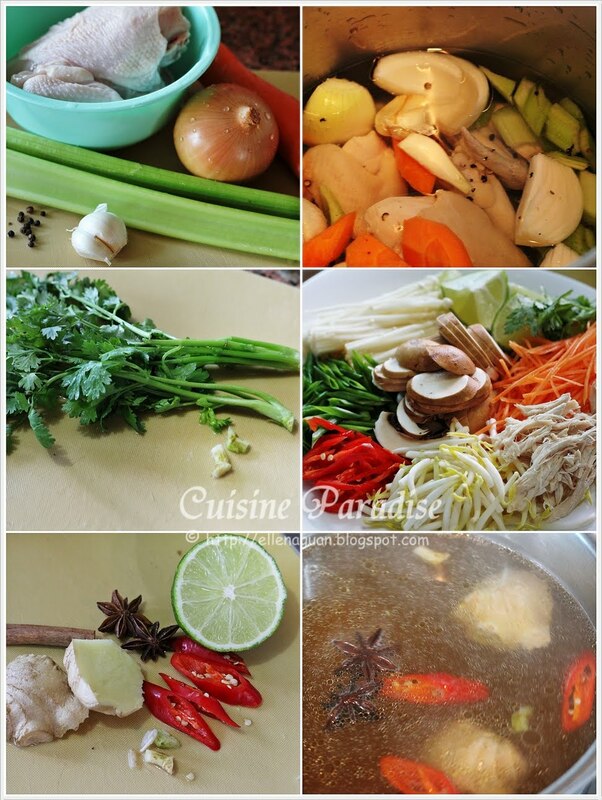 But in a while it also make the soup for oriental flavour without those herbs. Recipe adapted from Australia Master Chef website, HERE. 1. Trim and blanched the chicken in boiling water, rinse and set aside. 2. For the chicken stock, place all ingredients in a large stock pot, bring to boil. 3. Reduce heat and simmer for about 45 minutes, skim the fat from the top as required. 4. Strain stock through a fine sieve and set aside. 1. Place all the Broth Infusion ingredients in a medium saucepan and bring to boil. 2. Reduce heat to simmer and cook for 10 minutes. 3. Season to taste with fish sauce, light soya sauce and lime juice. ~ I used the chicken breast meat from the soup stock, shred it and serve together with the noodles. 1. To serve, layer pho ingredients into separate serving bowls starting with noodles, carrot and etc from the sequence above. 2. Gently divide the broth infusion into serving bowls top with garnish, lime juice and serve immediately. Although my version might not be the authentic Vietnamese Pho but we definitely love it's fragrant clear soup base which is loaded without lot of fresh vegetables and herbs. Overall the soup tasty and refreshing with hint of cinnamon fragrant and a bit of spicy and sourish taste from the chili and lime juice. Flourless Chocolate Cake has being queuing in my "must-try" lists for at least more than 2 years. Whenever I saw beautiful photos and recipes from fellow bloggers who lay their hand on this delicious looking cake I will be fascinated to give it a try. But the "fate" between me and this cake only begins to spark last week while I was planning to bake something for my neighour and my boy's school teacher. From the name "Flourless" you can more or less figure out that this recipe does not require any Flour, but somehow or rather it did call for a minimum amount of cocoa powder to enhance the taste. So in order to have better texture and taste for this cake, I would suggest you get some decent brand of cocoa powder which would give it that dark and luxury outlook. I love this recipe because it is so easy to prepare and you can even let your kid(s) handle most of the beating and folding job with maybe a bit of help from the Adult. Furthermore those of us who tried this cake were surprised of it's taste and texture which is moist, fluffy and tasty even without any use of "BUTTER or MILK". 1. Preheat oven to 180 degree. 4. Next whisk egg yolks and sugar in another mixing bowl until pale and airy before folding in cocoa powder, orange zest and grand marine. 6. Pour mixture into prepared cake pan or disposal baking cases. Bake in preheated oven for 18 minutes(9cm square paper case), 25 minutes(7"/15cm round cake pan) or when skewer insert and comes out clean. 7. Cool the cake completely on baking rack before sprinkle it with icing sugar and decorate with whipped cream, ice-cream or assorted fresh berries of your choice and serve. 1. You can either melt the chocolate over a double-boiler or place them in microwave safe bowl and cook on HIGH heat for about 90 seconds, stirring at an interval of 30 seconds to prevent burnt. 2. Eggs use in the recipe is 60g each in weighs. As you can see from the photos, the top of the cake has a delicate crispy crust which gives this cake a few layers of texture such as crisp top, moist and fluffy cake with orange-scented flavour on each bites. And since this is my 1st trial, I hope I would be able to achieve a bit slightly fudgy texture perhaps with a 3 minutes under bake on the timing. 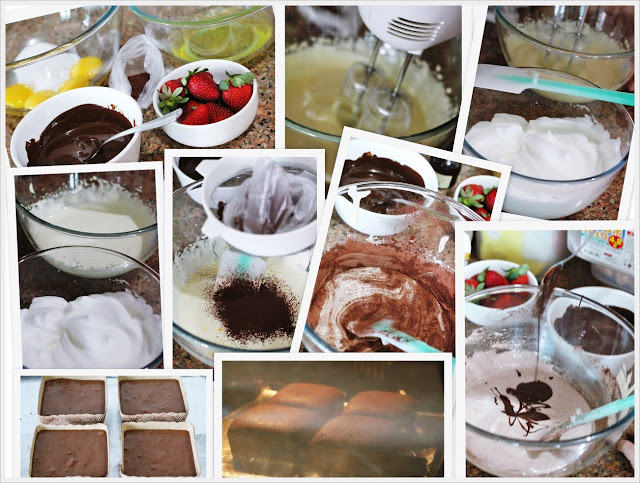 For more recipes on different type of Flourless Chocolate Cake, you can refer to the follow site which I bookmark too. 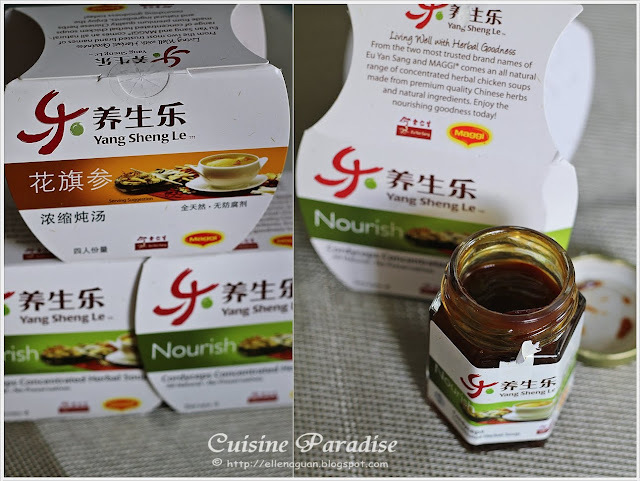 Last monthly, I have bought a few bottles of these Yang Sheng Le(养生乐), concentrated herbal soup from Fairprice during one of it's promotion. And for your information this concentrated soup is a collaboration by two trusted brand names Eu Yan Sang and MAGGI. Although for most of us this might be just another "instant" soup base which enables you to prepare quick and easy soup within minutes but with some extra bits of ingredients you could also turn this into a once pot dish too. To enjoy and prepare these delicious herbal soup, what you need to do is to dilute the mixture with water and simmer it for about 20 minutes before serving. Yan Sheng Le Concentrated Herbal Soup is also endorsed as the "Healthier Choice" by the Singapore Health Promotion Board and as well with the following :-. 1. Trim and cut the black chicken into quarters, rinse and blanched in a pot of boiling water for a about 3 minutes. Remove, rinse and set aside. 2. Empty contents of herbal concentrate from bottle into 1 litre of boiling water and mix well. 3. Add chicken pieces, bring to boil. 4. Lower the heat and simmer for 20 minutes and serve hot. These concentrated Herbal Soup comes in a few different types of flavour but we loves the American Ginseng Concentrated And Cordyceps Concentrated most. 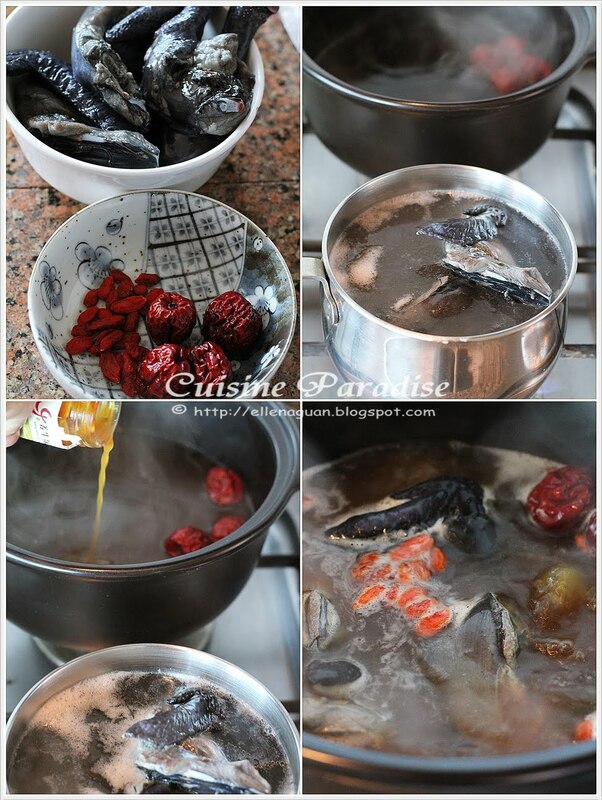 The photo shown above is Black Chicken with Cordyceps Herbal Soup in 20 minutes. The Cordyceps Concentrated Herbal Soup consist of 5 herbs such as :- Cordyceps, Bei Shan Shen, Bei Qi, Yu Zhu and Chi Pi which provides nourishing goodness for the body. Today I am so happy to share with you one of our family's favourite recipe from Bee's new cookbook, Easy Chinese Recipes (recipe and photos credited to Rasa Malaysia). 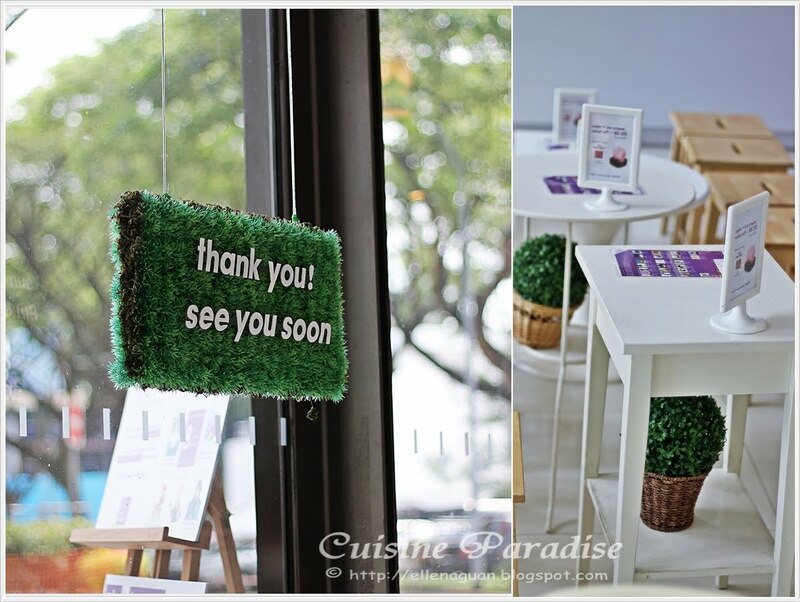 If you still remember I did mentioned in facebook(HERE) sometime back regarding the launch of her new cookbook in Singapore. 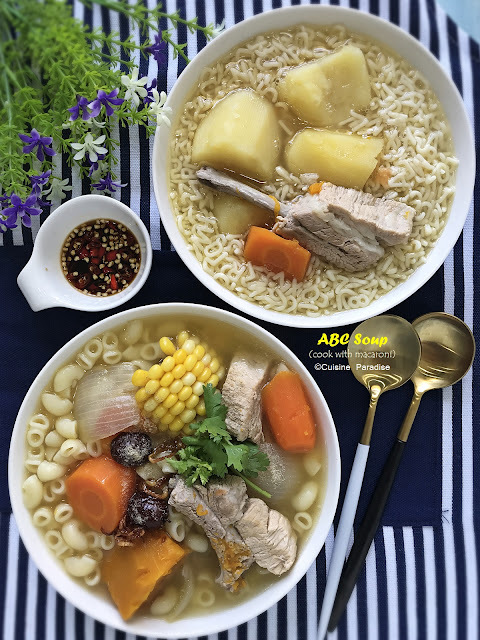 And here my friend Bee kindly offer to share with us this recipe (origin from Easy Chinese Recipes) as well as a complimentary copy of her new cookbook to one of the lucky SINGAPORE readers from this blog. 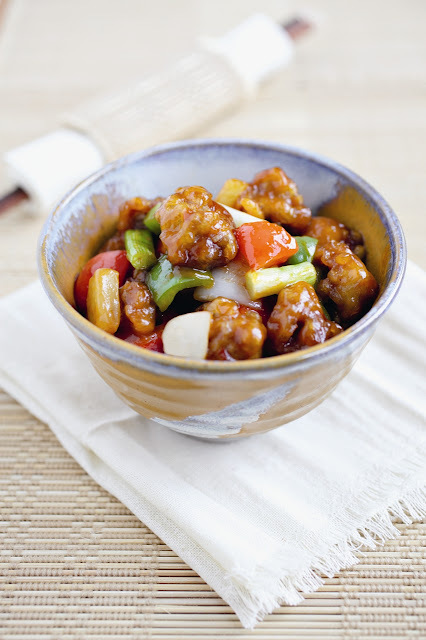 Sweet-and-Sour Pork, the ubiquitous and arguably one of the most well known Chinese pork dishes, is Cantonese in origin. The secret of an authentic Sweet-and-Sour Pork dish is in the perfect balance of the sweet versus sour flavor of the sauce. Now you can master this flavorsome dish with Bee's (Rasa Malaysia) tested recipe below and more tips on her cookbook. 1. Cut the pork into bite-sized pieces and marinate with the Marinade ingredients for 15 minutes. 2. Mix all the ingredients in the Frying Batter until well combined. Add the marinated pork into the Frying Batter, stir to evenly coat with the batter. 3. Heat 2 to 3 inches (5 to 7.5 cm) of the oil in a wok or stockpot to 350°F (175°C) for deep-frying. 4. Gently drop the pork into the oil and loosen them up immediately with the spatula to prevent the pork from clumping together. 5. Deep-fry them to a light golden brown or until the batter becomes crispy. 6. Dish out with a strainer or slotted spoon, draining the excess oil by laying the pork on a dish lined with paper towels. Discard or reserve the oil for use in another recipe. 7. To stir-fry, heat 2 tablespoons of the oil in a wok or skillet over high heat. 8. Add the garlic and stir-fry to a light brown before adding the peppers, onion, pineapple, and green onion. 9. Stir the ingredients a few times and then add the Sweet-and-Sour Sauce. As soon as the Sweet-and-Sour Sauce thickens, add the fried pork into the wok or skillet. 10. Stir continuously until all the ingredients are well coated with the sauce. Dish out and serve immediately with steamed rice. If you feel that the frying batter is too thick, add a little more water to it. To make the pork extra crispy, increase the temperature of the oil and deep-fry a second time. If you like more sauce, double the portion of the Sweet-and-Sour Sauce. 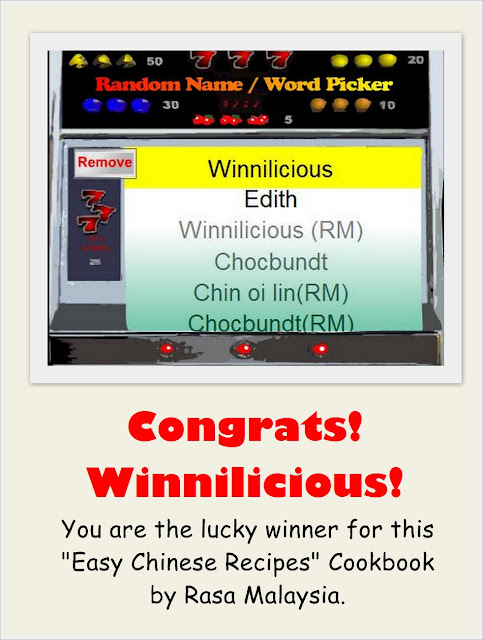 As mentioned I am so happy that Bee from Rasa Malaysia agreed to offer 1 Lucky reader from SINGAPORE a "Complimentary Copy" of her NEW cookbook Easy Chinese Recipes published by Tuttle Publishing at a retail price of S$32.00 (before GST). If you are keen in learning more about these easy Chinese Recipes, do grab a copy of this cookbook at any of the major bookstores in Singapore or order online HERE. ~ Like Rasa Malaysia on Facebook. Leave 1 extra comment for this. ~ Share this post on Tweeter. Leave 1 extra comment for this. ~ Share this post on your Facebook. Leave 1 extra comment for this. ~ Like Cuisine Paradise on Facebook. Leave 1 extra comment for this. Closing Date for the above Giveaway will be on Sunday, 18 September 2011(2359 Hours). Result will be announce on 19 September 2011, Noon. Good luck everyone!!!! Have fun! For OVERSEAS readers, you can join a similar giveaway of this cookbook at Rasa Malaysia and My Cooking Hut website respectively. About two weeks back I have an entry on Lemon Yougurt Butter Cake which was quite well-received by most of my friends. So during my Kids' Pizza and Bento Workshop last week I decided to twist the recipe a bit in order to suit the kids with this Chocolate Lemon Yogurt Cake. Each bites on this chocolate cake leaves you with a light and refreshing lemon fragrant mixing together with that rich chocolate taste that stays in your mouth for quite sometime which I am sure it would makes a perfect tea cake for the kids. In order to make it more chocolatey, I added extra 100g of mini chocolate chips so that i will make the cake more moist and full of chocolate flavour. Recipe adapted from Lemon Yogurt Butter Cake HERE. 1. Cream butter and sugar with mixer till creamy and pale (about 3 - 4 minutes on medium speed). 2. Add in eggs, one at a time and beat well after each addition. If necessary scrap mixture off the side of the mixing bowl and make sure everything is well beaten. 3. Fold in the mixture of sifted self-raising flour plus cocoa powder in 3 batches. 4. Next add in lemon zest, juice, yogurt, mini chocolate chips and fold thoroughly till combined. 5. Divide batter equal into 2 mini loaf tins that are lined with greaseproof paper. 6. Bake in preheat 180 degree oven for about 35 - 40 minutes or when skewer insert and come out clean. 7. When cake is done, remove it from the oven and allow to cool in the pan for 10 minutes. 8. Transfer cake to cooling rack and cool completely before cutting it into serving slices. Finally after about 2 months of preparation such as drafting, cooking, tasting and photoshoot on the dishes, my 1st set of Recipes booklet with "Swanson Clear Chicken Broth" is available at major supermarkets island wide. The launch of this Quick Meals by Swanson recipes is to enable consumers to cook up something fast and yet nutritious for the family during Mid-Autumn Reunionor anytime of the day. Yesterday we have a fun-filled day with all the wonderful kids and their parents who attended our very 1st Kids' Pizza and Bento Workshop. This workshop has being in my wishing list for so long because I always hope to be able to conduct a hands-on workshop for kids and their parents. For me I think hands-on workshop are a great way to show bonding between parents and their kids as most of the kids enjoy the time where mummy or daddy will be able to hold their hands and work together to complete an assigned task. And during the workshop I am so happy to see some heart-warming bonding time between parents and their kids. Once Upon A Milkshake (OUAM, pronounced “ohm”) derived from fairytale phrase "Once upon a time....." and it's owner Mr Alvin Ng is someone who loves ice-creams and milkshakes. He wanted his products to be “premium but without the premium prices” so he figured the best way was to use quality ice creams to achieve the desire products and sell them at affordable prices. 1. Decide on whether you want a milkshake (mini or regular) or an ice cream (scoops or pint). 2. Choose from ten flavours, each one represented by a cute character such as Agent Strawberry and Spooky Mocha. 3. Optional: You can to add extra toppings such as chocolate pearls, peanuts, crushed chocolate chip cookies and etc. Chocolate Truffle Castle Milkshake (back) wins the heart of all chocolate lovers with it's rich and mouth watering chocolate milkshake together with some extra chocolate bits for bite. Mangonista Milkshake(front) which is a fragrant Mango flavour ice-cream milkshake that suits those who prefer something more refreshing and light. Regular Agent Strawberry Milkshake that serves with generous amount of tangy real strawberries. According to some read up, they used 100% fresh strawberries to make their ice cream that customers who order this will get to taste the real strawberries in it. Regular Grumbling Raisin Milkshake served with alcoholic rum ice cream and rum-soaked raisin. Our Mission of the Day! CHARLES propose and CHARLENE say YES! On June 25th 2011, our important mission was to help Charles proposed to Charlene at Once Upon A Milkshake where you could read more about this touching and heartwarming mission at Charlene's Blog HERE.The reason of why I kept this post for so long is because this coming Friday, 09 September 2011 they are going to have their solemnization and we are all so excited and happy for this lovely couples. Let's put our hands and hearts together and give both of them our sincere blessing......... Congratulation Charles and Charlene!!!!! If you remember in early July this year, I have shared a post on 3 different Durian recipes (read more HERE) where one of it is making Durian Pancake. Here using a similar recipe I have whipped out some delicious Blueberry Pancakes for our weekend breakfast. And for those staying in Singapore, does this look familiar to you like one of the KFC AM Breakfast - Blueberry Pancakes? So if you like pancakes, blueberry, honey and cheese do try this recipe and I am sure you would love it as much as we do. 1. Sift plain flour and double acting baking powder together. 2. Beat egg and sugar until creamy and fluffy (about 3 - 4 minutes) before stirring in the flour mixture. 3. Next add in remaining ingredients, mix well to form a smooth batter. 4. Set batter aside in the fridge for about 30 minutes. Remove stir-in the blueberry and get ready the frying pan for cooking. 5. Heat up a non-stick pan, lightly grease it with cooking oil and add in 2 tablespoon of batter, swirl pan and cook the pancake over medium low heat. 6. Turn the pancake over when you see large air holes appearing on it and cook for another 1 minutes or less depend on its thickness. 7. Spread some some cream cheese or top with cheese wedges on the pancake, drizzle some honey over it and serve immediately with some extra blueberry according to your preference. This Mid-Autumn Festival if you do not intend to get those traditional baked or snowskin mooncakes(read more HERE) perhaps a box or two of these Häagen-Dazs mooncakes will be a great treat for the whole family or friends. 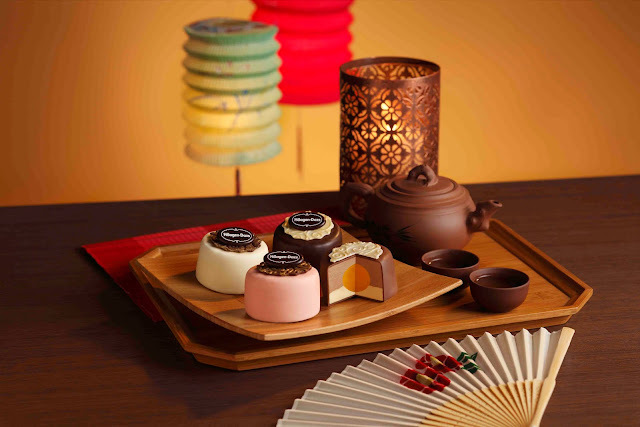 As you can see Häagen-Dazs have given traditional mooncakes a bold new twist with 4 different flavours such as:- Chocolate and Vanilla, Cookies and Cream, Strawberry and Coffee and Macadamia Nut. And each was created to look alike like the traditional mooncake with a "yellow" yolk in the middle using Mango Sorbet. In addition to their Classic Gift Set(S$58+ for 4 pieces) or Petite Gift Set(S$32+ for 2 pieces), these mooncakes are also available as dine-in creations (range from S$18++ - S$20++), accompanied by exquisitely handcrafted fruits at all Häagen-Dazs outlets. 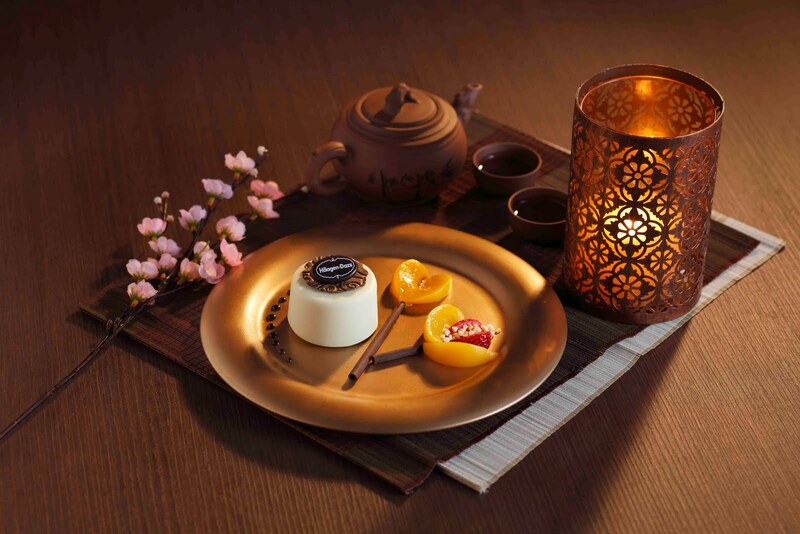 For your information Häagen-Dazs mooncake promotion starts from now to 12th September 2011. For more promotion details please refer to their website HERE. Thank you Häagen-Dazs and WOM for the lovely mooncakes. 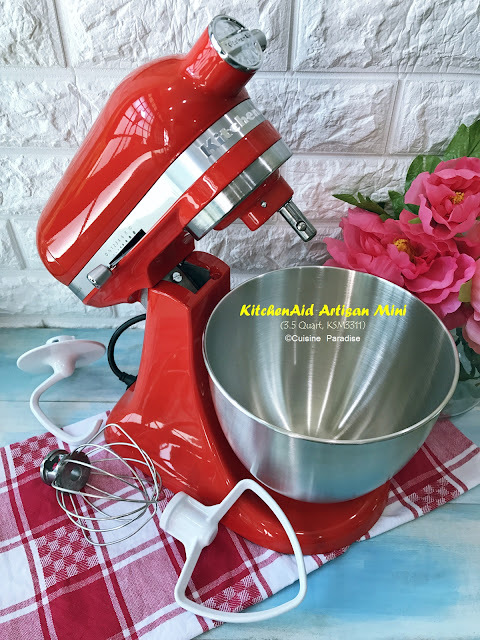 Time flies when you're busy so with another weekend approaching I would like to share a quick tea-cake recipe which you can bake for your family using common ingredients like lemon and plain yogurt. It has being quite sometime since I last baked butter cake(Chocolate Pumpkin Butter Cake) for tea-snack and I sure miss that buttery taste together with a cup of English Tea.